Salutron, a relatively small maker of wearables, has introduced a life-tracking watch that includes most of the required features for a competitive product. The company's new LifeTrak Brite R450 watch tracks the user's sleep, heart rate, calories burned and steps taken, is waterproof and has a battery with a six-month life span. 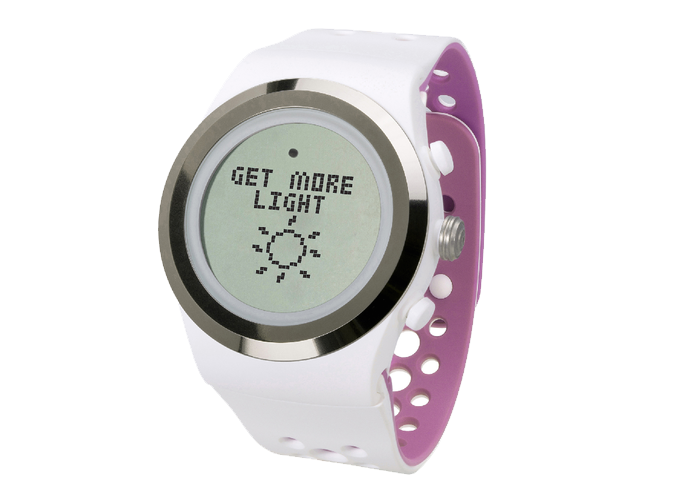 It also monitors the wearer's exposure to beneficial blue light and makes recommendations about getting more or less light exposure. Salutron has entered the field of photobiology with the R450. The body requires a certain level of exposure to blue-light wavelengths on a daily basis in order to trigger the body's creation of serotonin, a neurotransmitter that contributes to positive mood. A lack of exposure to blue light can dampen spirits and contribute to seasonal affective disorder and sleep problems. The watch will retail for about $130. Several dedicated light-tracking wearables have come to market recently — devices that provide the user with feedback about beneficial and detrimental light exposure. SunSprite is an Indiegogo-backed example of a solar-powered wearable that acts as a light coach for the user. Researchers behind the product claim that individuals who monitor and optimise their light exposure have increased energy, better mental focus, less stress and an improved overall mood. These devices feed the information back to apps which can store the data for long-term observations. The growing popularity of advanced connected smart light bulbs like the Philips Hue could work together with these light-monitoring wearables, automatically adjusting lighting intensity and colour based on need. Light is becoming an important element of health maintenance, and a future generation of wearables can add light waves to the contextual information we collect about our lives.